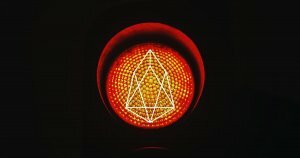 A Cornell University computer science professor has taken aim at the governance model of the rapidly-evolving EOS model, predicting that the way in which EOS handles security flaws will result in a large-scale exchange hack within the next year. Associate Professor Emin Gün Sirer, notable for launching one of the first Proof of Work-based cryptocurrencies in 2002, fired a salvo of tweets directed at the EOS project earlier this week in which the distributed systems expert criticized EOS governance and security. The threat of an EOS security flaw, according to Sirer, is very real. By taking advantage of EOS vulnerabilities, hackers will be able to capture the hot wallet of an exchange, thereby accessing the EOS within and trading it for other tokens via downstream exchanges. The recent EOS bug, notes Abraham, resulted in the loss of zero confirmed transactions or data. Ultimately, while concerns regarding the security of any centralized exchange are understandable, it’s arguable that the modus operandi of a project’s development team is not a foolproof indicator of the security of tokens on any given exchange. Ultimately, Sirer’s recommendations for crypto security practices, however, provide EOS holders — and crypto investors in general — with guidance on protecting themselves from the security flaws in any project.